A dentist is a pretty phenomenal person. 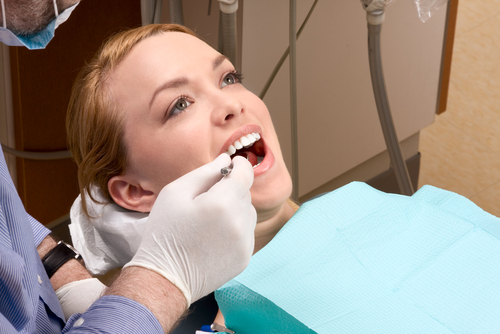 There are so many different dental conditions – and they are supposed to know about them all. This is true even of the rare ones that do not pop up very often. There are some conditions a dentist may never encounter in his or her entire career, but he or she still needs to know all about them. Just as the name implies, black hairy tongue is a condition where you wake up one morning, stick out your tongue, and freak out because your tongue appears to be black and hairy. Fortunately, this is not really something to worry about. Your dentist will tell you that in most cases, the problem will just go away on its own. Smoking, dry mouth, certain medications, and poor dental hygiene can all cause this condition. Fissured tongue is not really a rare condition, so much as it is unusual. But, it is rare for someone to experience a burning sensation while they have it. Anywhere from 2 to 5 percent of the population has this condition, but significantly less people who have it experience any level of discomfort. Unfortunately, there is not a lot a dentist can do for this condition. The only exception would be if it is causing halitosis (bad breath). In this case, regular tongue cleansing will be required. Your dentist will show you how to properly clean your tongue with the right tools. Trench mouth is the name of a serious gum infection that is caused when bacteria builds up in your mouth. While it is a serious condition, it is also a rare one. Most of the time, trench mouth can be treated in a few weeks with a proper dose of antibiotics and pain reliever. While you heal from these (or any) dental condition it is recommended that you avoid smoking or eating spicy foods to give your mouth a chance to heal.